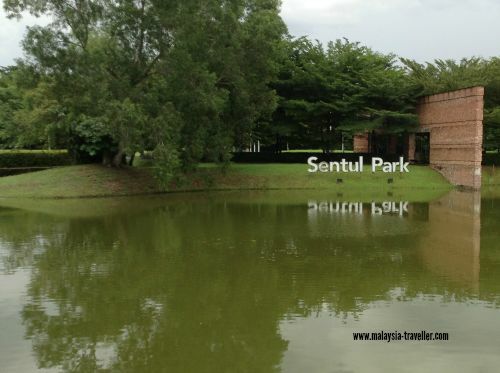 Sentul Park is a 35 acre private gated community park just off Jalan Ipoh in Kuala Lumpur. 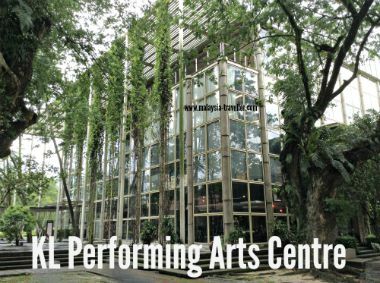 Although access to much of the park is restricted to residents of adjacent condominium blocks, the public is allowed to enter the part containing KLPAC (Kuala Lumpur Performing Arts Centre) where there are also a couple of good restaurants and a koi centre. 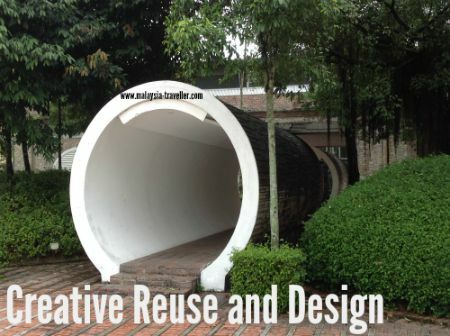 This office belonging to YTL Communications Centre is accessed via a 3m diameter pipe. 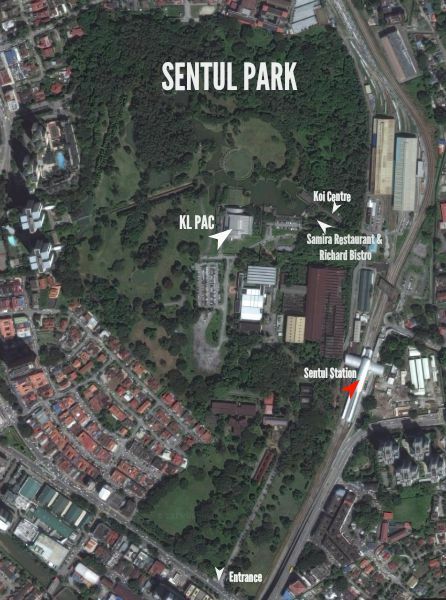 In 1904, the Federated Malay States Railway began building a complex of railway maintenance works at Sentul known as the Central Railway Workshops, the largest in Malaya. Here railway carriages were assembled and serviced and the majority of the parts needed were manufactured in the foundry, sawmills and workshops located on this site. In their heyday the works employed 2,500 people. In 1945, just weeks before the end of WWII, the workshops were heavily bombed by British B-29 bombers because it was seen as a vital rail complex for the Japanese occupiers. 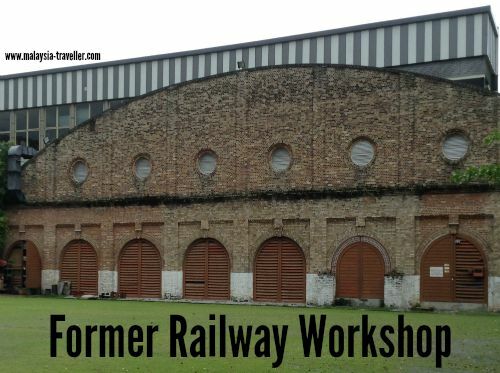 After the War, the workshops were partially rebuilt but never regained their former prominence and many of the former colonial railway buildings were left as hollow shells or ruins. 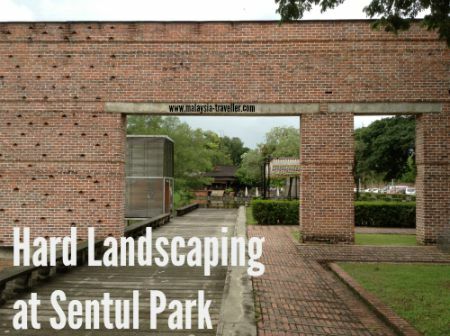 The park became an under-utilised nine hole golf course for a time before the YTL Group re-designated the area as a private community park for the benefit of the residents of its condominium blocks springing up around the perimeter of the park. Although mostly private, the public can access parts of the park to visit the following attractions. 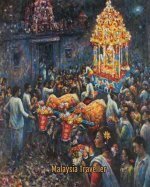 KLPAC is probably the most active and vibrant arts hub in Malaysia with a wide range of events and activities going on all year round in its various studios and theatres. It is housed in an award winning building which is a fusion of a former railway workshop and a modern glass and steel extension. Its facilities include a cafe and a performing arts library. Opening Hours are 10:30am to 8:30pm on show days and until 6:30pm on non-show days. 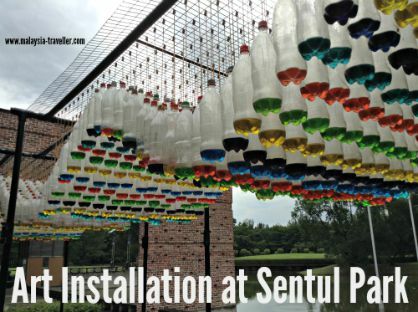 To find out more take a look at the KLPAC official website. 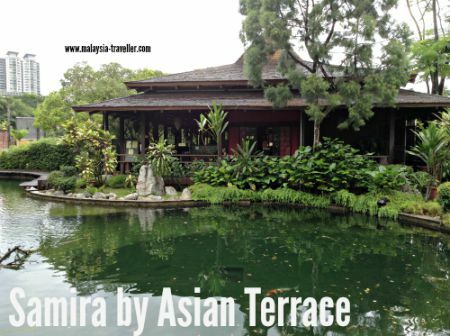 Samira by Asian Terrace is a Thai restaurant. It was formerly a Japanese restaurant called Yuritei and the design of the building resembles a garden tea pavilion. 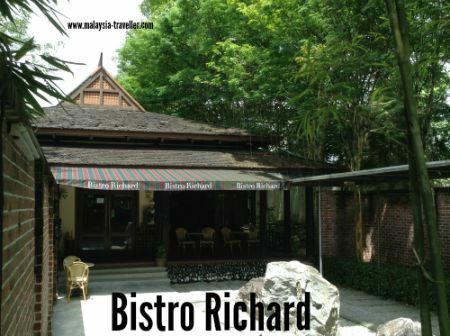 Next door is Bistro Richard with a continental menu. It opened in April 2013. This business sells koi food, pumps and other pond accessories. 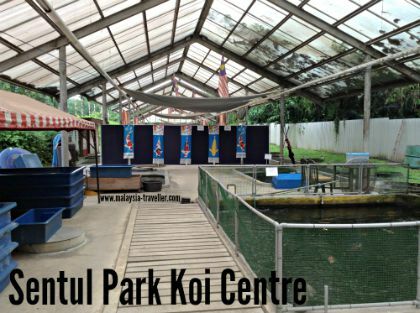 You can also buy koi for your pond, many costing upwards of RM1,000 each. They even advertise a ‘koi hotel’ which presumably means you can board your pet fish for safe keeping while you are away on holiday. I have marked the location on the map on my Malaysian National Parks page. 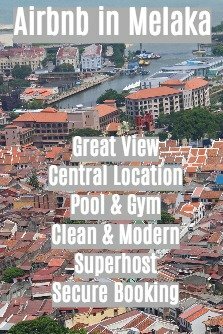 The station you need is Sentul station on the KTM Komuter line which goes from KL Sentral to Batu Caves. There is no entrance fee to the park. The restaurants close around 11pm to midnight so the security guards are unlikely to let you in after that time.